Last year, after a period of ill health, Lewis was sent for a series of blood tests and I was really surprised when the results came back to say that he was seriously deficient in vitamin D. For a child who spends his life outdoors playing football and riding his bike, I wrongly assumed that he was getting all the vitamin D he needed and I felt awful afterwards that I hadn’t thought to give the children vitamin D supplements. Once I started researching Vitamin D I was surprised to discover that the Government now recommends that everybody should be taking Vitamin D supplements, particularly during Autumn and Winter. But for our children, vitamin D is particularly important to support the normal function of the immune system and their development, such as regulating calcium and phosphate in the body, both of which are essential for healthy bones, teeth and muscles. New research shows that nearly half of people (47%) who don’t purchase multivitamins claim that natural sources can provide all the vitamin D they need. Experts say that’s almost impossible for many people living in the UK. Dr Sarah Jarvis, who has over 30 years experience in the NHS and over 26 years as a GP, has put together a fantastic, and comprehensive, guide to vitamin D to dispel the myths surround a vitamin which evidently, the majority of us know little about. Exposure to Sunlight – The most natural way to get vitamin D is to expose your bare skin to sunlight and yet, with so much awareness about the dangers of UV rays, many of us cover up in the sun, particularly in the Summer. The truth is you don’t need too tan or burn your skin to get vitamin D – you only need to expose your skin for around half the time it takes for your skin to burn and the more skin you expose the more vitamin D is produced. Getting vitamin D from your diet – As with most vitamins, you have to be eating a very healthy, inclusive, diet in order to get the amount you need simply from food alone. You can get small amounts of vitamin D from food including oily fish, red meat, egg yolks, fortified cereals, and milk. But you would need to eat the equivalent of 10 tins of tuna, 10 rump steaks, 10 lambs liver, 7 bowls of fortified cereal, or 6 boiled eggs, just to be getting enough vitamin D from your diet alone. I’m sure we can all agree that would be impossible! GP Diagnosis – Many people claim they do not need to take a supplement as they are outwardly fit and well, and yet often vitamin D deficiency can present with no symptoms at all. Although low mood and muscle aches have been reported, a diagnosis can only be made via a blood test at your GP surgery. It is estimated that at least 1 in 5 of us are currently living with an undiagnosed vitamin D deficiency which is why taking a supplement is so important. Good quality supplement – Until recently I had no idea that there was a difference between vitamin d supplements and felt overwhelmed by the many different brands and products. 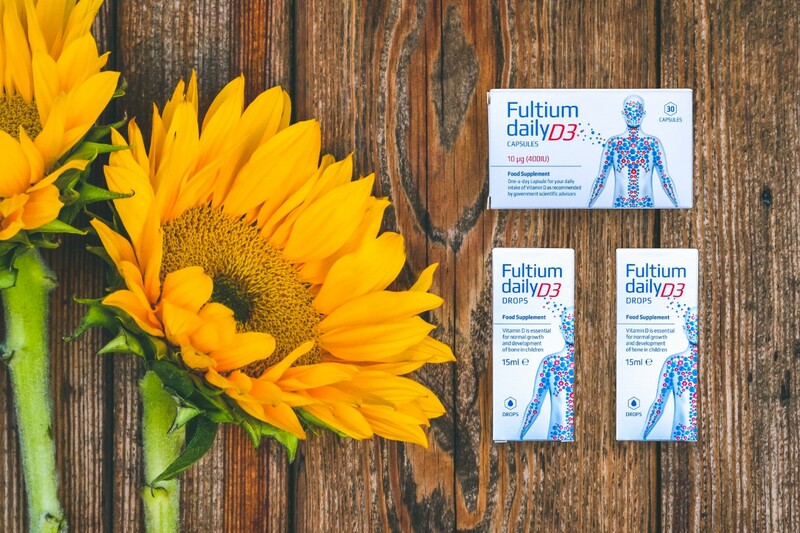 Fultium Daily D3 is one of the few vitamin D supplements specially formulated in a high quality oil which, unlike dry powdered tablets, is easily and effectively absorbed by the body. 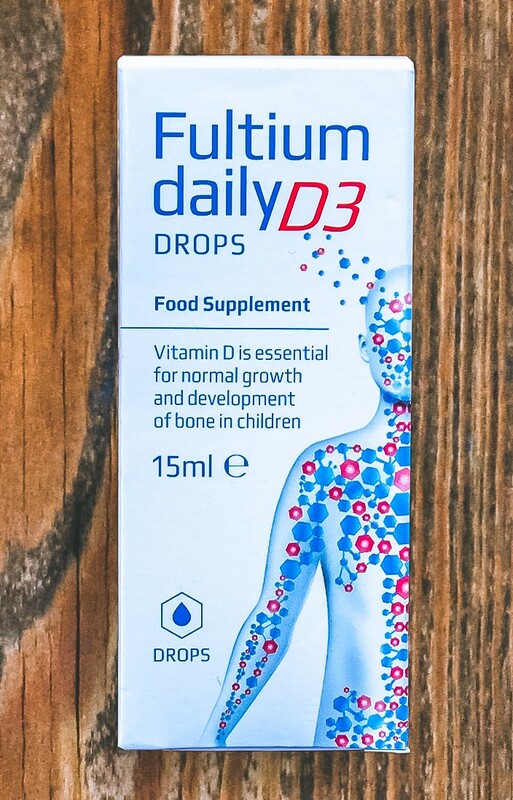 Dr Sarah Jarvis is working with Fultium Daily D3 to raise awareness of vitamin D deficiency. We have recently started taking Fultium Daily D3, as a family – a vitamin D supplement suitable for for children and breastfeeding mothers. Everyone in the UK, aged 1 and over requires 10 micrograms (μg) of vitamin D a day and 8.5-10 micrograms a day for infants under 1 year- particularly during the winter months. 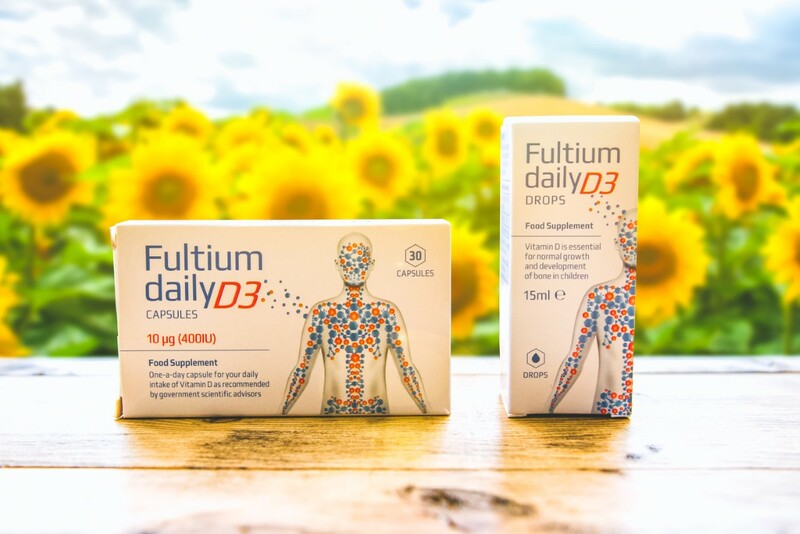 Formulated specifically to meet the Scientific Advisory Committee on Nutrition’s (SACN) and Public Health England’s (PHE) new recommended vitamin D guidelines is Fultium Daily D3. 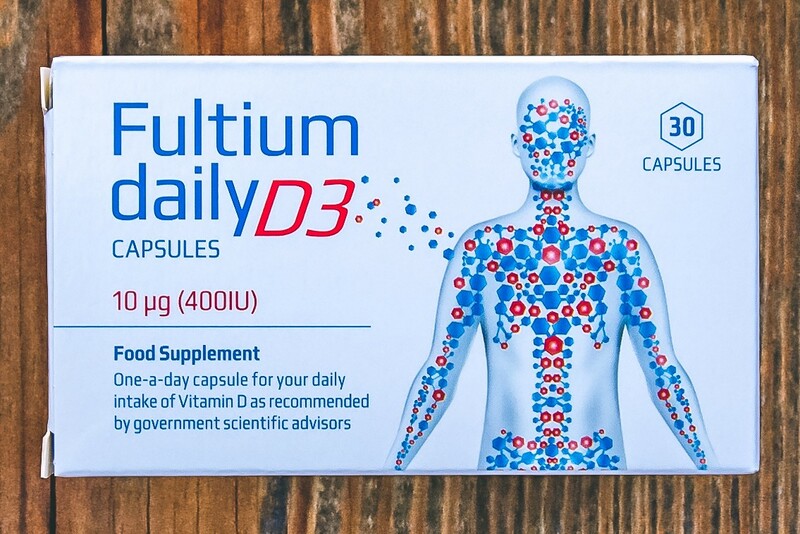 Fultium Daily D3 is a new, high quality, pharmaceutical grade supplement. As a parent I feel comforted to know that my children are now getting their daily vitamin D whatever the weather. After all, we are the only ones who can control the vitamin D levels we get throughout the year so, unless you spend a lot of time outdoors, I definitely recommend a supplement! This looks like a great vitamin d option. Our pediatrician recommended one, but our daughter HATED it. It is so important! I take a daily supplement and give one to my daughter and it makes a massive difference to our health. Can never get enough Vit D I always say! It really does have a huge difference! I probably should do this! Even as babies, I would always forget to give it to them. We are outdoors a lot but I have also started giving my kids vitamins which include vitamin D. I have started taking a multi vitamin too – it is crazy to think most of us aren’t getting enough. We take vitamin D supplements and also have plenty of fruit and veg in our diets. The girls both get plenty of fresh air, although probably not enough sunlight at this time of year so maybe a supplement would benefit them too! Oh this is really interesting. I think I should look into it especially as we have such long dark winters here, Thankyou! Such a great post and awareness, Vitamin D is something that most people lack and a daily dose can make such a difference. Every winter I struggle because of lack of sun and not enough vitamin D. Vit.D is really important for adults also. This is fascinating, and like you, I had no idea. Please don’t be so hard on yourself about not thinking to get these supplements for your child, there are already so many expectations on modern parents and you’ve done it now, so I’m pretty sure that makes you an excellent mum, plus you’ve chosen to help others understand. Bonus points! I’m off to buy some for myself. I will admit I thought the sun provided more than enough Vitamin D but you are in the UK and maybe the sun isn’t out as often? I’m not sure. But even over here in the states, unless you’re living in a state that is sunny all year round the Sun doesn’t come out that much. Or at least it’s being covered by clouds and snow. I also didn’t know that you would have to eat so much of those foods in order to get the right amount of Vitamin D. This is definitely something to consider when I go out to get some food. Maybe stop at the vitamin section from now on. I guess getting some vitamin D is extra important in the winter when there is less sun. These sound like some good child friendly supplements. This is a lovely post with so much information. Many are unaware of the importance of getting the right supplements. Yes, I do agree with you and Vitamin D is absolutely important for all ages and especially for kids/children. I didn’t hear about those capsules but your review is really helpful here. I always try to get my kids outside as much as possible so they can soak up as much vitamin D as possible. But, like you say, it’s not always that easy. I’ve never thought of giving them supplements before, but I might actually consider it as my youngest isn’t seeing much of the outdoors at the mo! I will definitely be getting Jack to take a vitamin D supplement. He spends a lot of time outside but reading that it is almost impossible for people to get the amount they need in the UK is concerning so I will be making sure he is getting it. This is really interesting to read! As a family we do spend a lot of time outdoors, and I suppose I just assumed that meant we were getting enough Vitamin D! These supplements sound like a great way to get more vitamin d into us all! I’m aware about how important Vitamin D is for the kids, especially because nowadays we aren’t even having much sunshine. We have just started taking vitamins as a family, something we have never done before. It really has made a difference. As our world is being polluted every single day and making it worst as time goes by, we need this kind of supplement to help us get sufficient vitamins that our body needs to fight those viruses and bacteria that we encounter but haven’t seen. This is such a great vitamin D supplement, an amazing one to recommend I may say and for that I thank you for sharing this to us. That’s a very informative and helpful post. I agree Vitamin D is really very important for all age groups especially for kids. That’s why I love the sun so much! Plenty of vitamin D when it’s sunny but unfortunately where I live (the UK) I need a dose to keep my levels in check! Very informative blog! I take a few vitamins daily from a brand called ONNIT to maintain my proper intake myself. This is very useful and informative. Yup investing to our kids’ health is a must! We all need vitamin D for a better life. Just last year i found out that Vitamin D is essential for calcium absorption etc. Good the govt has made it mandatory. I have friends who have kids and I am sure they will love this. Will share this to them. It’s so strange growing up in South Africa where we have very long summers and very mild and still sunny summers this was never really an issue as we lived pretty much outdoors all year round but it just isnt the same here in the UK. More and more kids spend more time indoors than anything else and Vit D is just so important! !